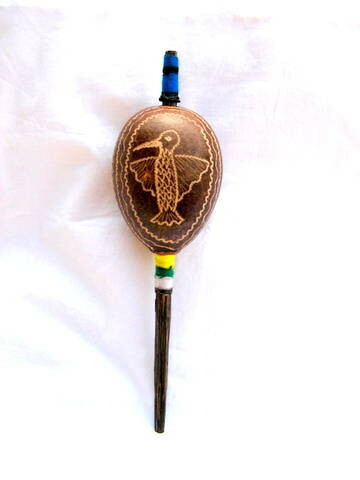 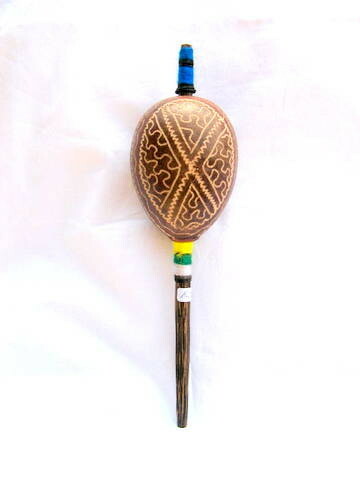 Shipibo Maracas - ARTE AMAZONIA provides a global voice through art for the indigenous cultures of the Amazon. 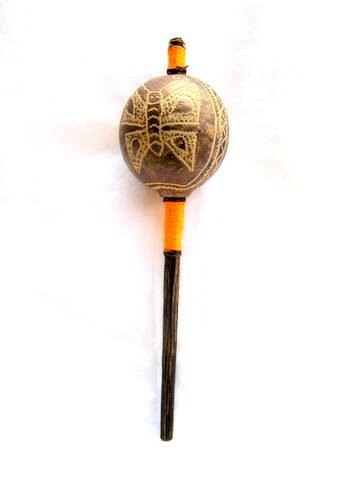 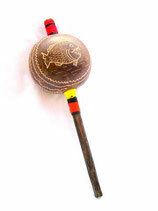 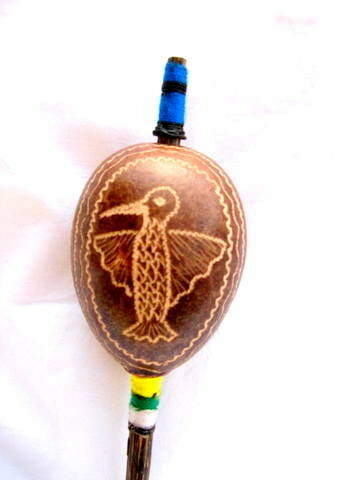 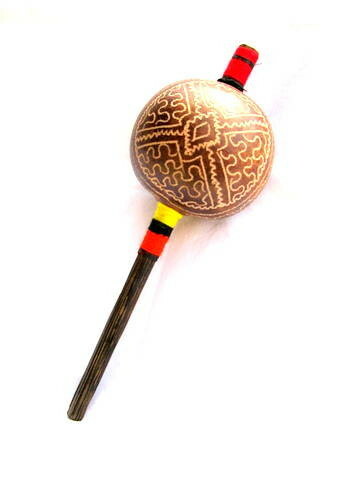 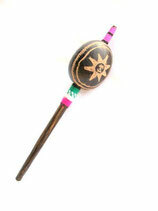 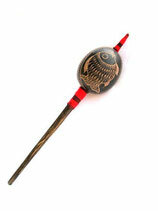 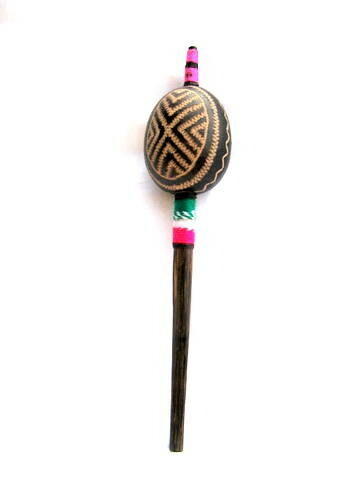 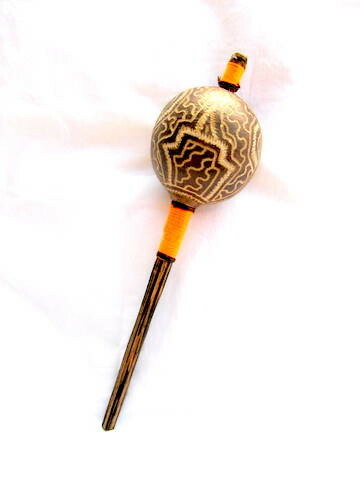 These maracas are handcrafted deep in the Amazon Jungle of Peru by the Shipibo. 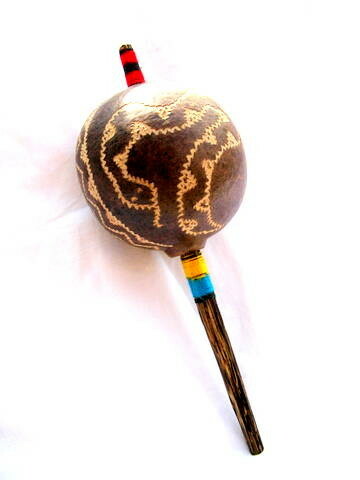 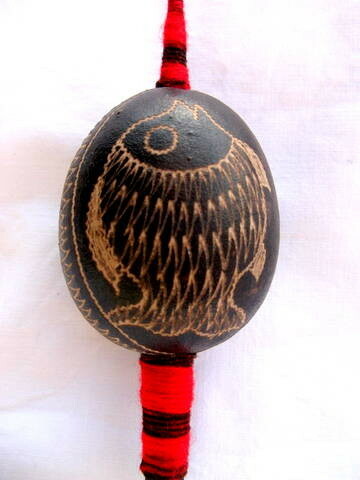 They are made from calabash and the handle is of wood of the chonta tree. 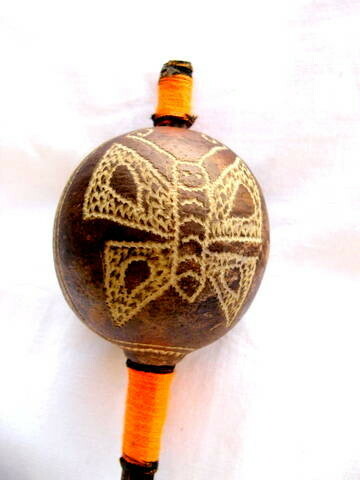 Each one has its own sound, filled with achira seeds and decorated with traditional designs making each one a unique piece of art. 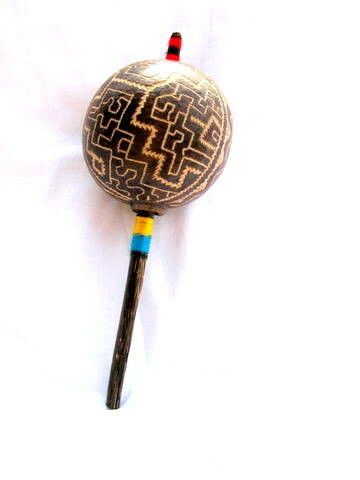 Beautifully etched, the patterns represent the traditional icaro song patterns of the Shipibo. Their artisans are well known for their intricate designs on pottery and textiles. Inspired by Ayahuasca induced visions, myth and folklore. 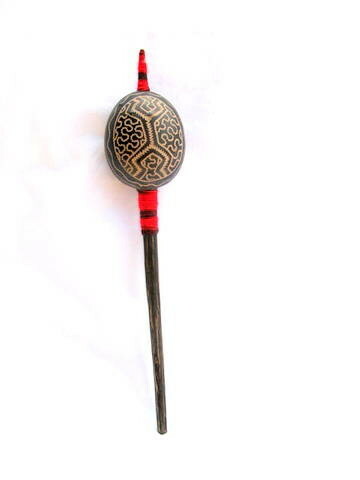 These refined geometrical designs are sophisticated interpretations of their cosmic realities.